About this post: I feel like I’ve come a long way as a travel blogger on Instagram, keeping my focus on authentic content, organic Instagram followers and organic Instagram growth. Whether you’re looking at Instagram as an extension of your travel blog, or to join the ranks of the best Instagram travel pages, I hope these lessons and tips will help you craft your organic Instagram strategy in 2019. There’s no doubt I was late to the Instagram party. I resisted it for a long time, thinking it was a channel that made sense only for photographers – and I don’t consider myself a photographer in the conventional sense. I’ve never owned an SLR camera, haven’t quite grasped the nuances of aperture and exposure, and remain conflicted about the ethics of editing photos. In my early blogging days, I travelled without a camera, choosing to experience the world as fully as I could. My first camera, a gift from my brother, was a talking Sanyo point and shoot. Yes, it told you to smile when it took a photo – and yes, I remember being playfully ragged for it on my first blogging trip! I started taking my blog more seriously and realised the value of visual content. Instagram exploded, and as much as I wanted to stay off it, I had to join to stay professionally relevant in the ever-changing world of travel blogging. I chose to approach it differently though. Instead of using it only as a visual platform, I started building my voice in words. Slowly, I attracted followers who care as much about what I write as about the photos – a community that indeed reads my lengthy captions and engages meaningfully with them. I chose not to try to game the system. Not to play the follow-unfollow game. Not to compromise my travel style for likes or collaborations. Not to dilute my focus on sustainable and meaningful travel. Not to shy away from the reality of long term travel. And I’m excited to share that despite that, my Instagram community has grown to over 67,000 followers, who often engage in meaningful conversations on my posts. I secretly think I have the best Instagram followers – and if you’re one of those who care to read and share your thoughts uninhibitedly on my posts and stories, I thank you from the bottom of my heart! You make all the time and effort I spend on Instagram worthwhile for me. As I write this post, I want to reach out to fellow travel bloggers and travel Instagrammers – the ones who similarly choose not to compromise their voice and authenticity – and say that you CAN grow on Instagram organically, without gaming the system, plastering your gallery with perfect bikini shots and editing the hell out of your photos. You’ve probably heard people wax eloquent about the merits of organic engagement, yet been bombarded with DMs and emails promising thousands of followers. You’ve probably been followed and unfollowed yourself a bunch of times. I have to confess that like many others late to the Instagram party, I hit quite a low when I realised how easy it was to buy and lure followers. And how difficult it could be to grow if you weren’t one of the early adopters lucky enough to be featured by Instagram. When I made up my mind to seek only organic growth on Instagram, I decided to stop obsessing over who follows – or unfollows – me, and started obsessing over engagement. Were enough people compelled to comment on my posts? Did the comments go beyond “Nice pic” and “amazing capture”, to something more meaningful? Those were the rewards I began to seek, and without quite realising it, began to build an engaged community as opposed to a shallow following. When you really begin to scan the big accounts, only a small percentage of them seem to offer real engagement – some of them have 5-10 times my followers yet less than half my engagement. If you ask me, a real, engaged community is what can set you apart in the competitive world of travel Instagrammers – and slowly but certainly lead to greater reach too. It’s how I crawled my way to 67k over 3 years. There was a time when merely having decent content on Instagram was enough to stand out – and Instagram rewarded you as a featured account that would get huge following. Some of those early adopters (smart folks) are making their entire living with Instagram now! The rest of us, though, need to innovate. Travelling is not novel. Great photos are not enough. Introspective quotes have become cliche. Thinking about this made me realise that I have to offer my audience something different to stand out. And that’s when I started to put all my energy into writing – the one thing I genuinely enjoy too. My captions are way too lengthy, so much that sometimes I have to trim them to Instagram’s word limit. And yet, on a visual platform, my captions are what my readers repeatedly tell me they follow me for. Some of my friends and fellow bloggers have unleashed their creativity in different ways on Instagram. Siddhartha Joshi (@siddharthajoshi) ran a portrait photography series for 365 days, featuring the dreams of ordinary Indians. Lola Akinmade (@lolaakinmade) started by posting a six post puzzle to tell a story through her incredible photographs. And Abhinav Chandel (@abhiandnow) keeps his followers coming back by mixing travel with stories of a fictional (or not) lover. What I mean to say is, the possibilities are endless. Taking the time to find your voice and create a niche is the only way to stand out on Instagram. As with most things online and some things in real life, we only have one chance to make a good impression. When someone visits your profile, are they inspired enough – by your bio and gallery – to hit follow? The rare time they see a post by you, for Instagram algorithm makes it pretty rare, are they inspired to stop, like and comment, so they are shown posts from you more often? There are thousands, maybe millions, of us competing for the attention of the same audience. And I say competing because the Instagram algorithm makes it so. I often try to put myself in the shoes of someone leisurely scrolling through Instagram. Will my photo make them sit up, will my caption spring them to some sort of response? Over the years, I’ve realised that it’s only when I put out really meaningful content that I’m growing my followers and my engagement. There’s no easy way around it, despite what those spammy “get more followers” apps promise. There was a week when my entire Instagram timeline was filled with people going nuts over their free watch from one particular company! Surely many people noticed that. And surely, it left me wondering how many people actually wear those kinds of watches while hiking, or in the wilderness, or on the beach, where many of those photos were shot. Don’t get me wrong. I do my fair share of paid collaborations – but sometimes you just have to get yourself to say no because the product doesn’t go with your personal brand. Or because your morals don’t allow it. Or because some promotions outright feel like selling out. On my part, I like to think that no matter how desperate I am for the money, I’ll never promote products that use cruelly-derived animal ingredients or test on animals, or travel attractions that abuse animals. That you’ll never see leather bags, animal riding or milk products on my gallery. Posting on Instagram is just not enough. I’ve found that in order to grow my following and engagement, interacting with the active community on Instagram is essential. Answering comments on your own posts is a no-brainer, but starting conversations on posts by others is important too. When I was a small fish in the big Instagram sea, nothing delighted me more than seeing personal comments from Instagrammers I looked upto. Now that I’m a slightly bigger fish, I try to give back – by complementing photos and accounts that I see high potential in, and by occasionally featuring Instagrammers who use my hashtag #theshootingstar. I’ve also done a couple of cross-promotional collaborations with fellow Instagrammers, for example with Turkish solo travellers Tugce (@bilinmeyenrota) and Melke (@melkeontheroad), which helped me reach out to a new audience. I think the good thing about Instagram is that virtually, we are all on a level platform. We need to keep supporting and encouraging each other to do better, to create more inspiring content, to have more impactful conversations. Also read: A Himalayan Village Where Locals Runs Marathons and Their Own Instagram Channel! I can’t speak for other industries like fashion and food, but I’ve hung out with travel Instagrammers who’ve spent sleepless nights and mornings looking for the perfect Instagram shot – and even gone to the extent of photoshopping stars in their skies when they couldn’t get a really wide angle shot. I appreciate the perseverance to create exceptional content and understand the need to do what it takes to stay competitive… but hey, don’t forget to take some moments away from your lens and take in the surreal beauty of the places you Instagram. When you look back at life, only your actual experiences will matter, not the photoshopped perfection of your Instagram shots. We need to think beyond money – what else can we use our influence for? Many of us are hell bent on proving our Instagram influence for paid brand collaborations – but as we do that, we also need to remind ourselves that money can’t be the only thing we use our influence for. Can we use it to challenge societal conventions? To promote responsible tourism? To spread the word about ethical photography? To encourage more people to travel solo and seek meaningful experiences? To promote compassion towards animals? To raise awareness against plastic consumption? Whatever the causes close to your heart, make them your mission. After all, life is too short to create perfect Instagram posts just for the followers, money or likes. PIN it to review these organic Instagram growth ideas later. Do you love or hate Instagram? What creative ways have you found to use it and grow organically? Order a copy of my bestselling book, The Shooting Star, on Amazon or Flipkart. I believe that followers doesn’t matter but our content should be. Exactly the point I’m trying to make! I love you so hard. I love your journey towards being an aware, informed, mindful, responsible presence on this planet. Your honesty and humor are what make you relatable and what inspires me to emulate you. I’m not a blogger, I’m just an anonymous person, and one whim you’ve inspired greatly. Aww thank you Helena. I love that these choices get noticed, because more of us need to make them – and also uplift and encourage each other towards them. I’m so glad to hear that this post convinced you to give Instagram a chance! A point that I forgot to make is that even as content creators, we consume a lot of content on Instagram – and so we have to curate our feed such that we only follow accounts that truly inspire us to take our work to the next level, and not accounts that make us cringe and want to delete our profile 😉 Please send me a DM when you’re all set up on Instagram so I can follow your amazing work there. And so happy to hear that you and your friend enjoyed reading my book. I’m yet to find an agent in Germany who could help me with the translation, but fingers crossed. Thank you for your great artcle.I hope instagrammeers are inspire to travell in the world. Hope so, and in a responsible way! Oh my God Shivya.. This was something which was bothering me today.. Few of the instagram influencers using the strategy of Follow and Unfollow game! You have put it perfectly! Content is everything! Don’t get bogged down by it. I can’t remember the last time I saw who is following / unfollowing me, and I couldn’t be more at peace (with Instagram at least, haha). This follow and unfollow method has truly left me bewildered. I can’t begin to understand how people spend hours trying to follow someone and then later go back and unfollow. Initially when I started instagram, I was puzzled as to why number of followers keep fluctuating. I doubted if my content was mediocre to catch anyone’s attention longer than 2 days. Overtime, I had stopped looking at follower count and just focus on posting things I like. Your article is so helpful and original. Thank you! P.S. 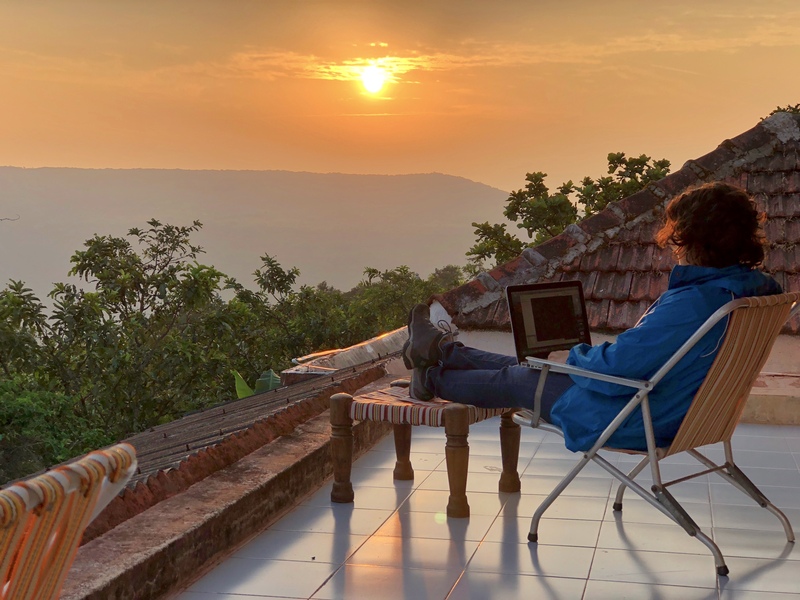 I am in awe of your digital nomad lifestyle. Keep writing! News flash: there are hundreds of (spammy) apps that do this follow-unfollow thing for you. It’s against Instagram’s rules and an account could be banned for doing it, but it still happens unfortunately. You said it – the purpose behind doing it in the first place. I have to keep reminding myself of that too. Glad you enjoyed reading this. In the mad Instagram follow/unfollow chaos, these are true and genuine words of wisdom. Reading this feels like you are explaining a kid who’s new to Instagram world.. First you yourself being a kid and using simple words which are easily understood by kiddo. Haha, thanks Kartik. Quite overwhelmed by the feedback on this post; so glad I decided to write it. Aww thanks so much Binita, so glad you can relate! Oh shivya you honest human! every word that you typed out was so honest, sometimes cruel yet like they say isn’t truth always a bit bitter than sweet? I feel this blog has come out at the right time. Although, Ive been following you ardently for quite sometime i have noticed the story telling style and the improved content especially from the beginning of 2019. It is so engaging and like you intend something which makes us all go beyond the mono syllabic comments. I couldn’t help but smile while reading about the certain watch collaborations because i had the same thought when my feed was full of everyone posing for the same. Thanks Ranjini, I don’t know if anything has changed in 2019, but I sure feel the need to be as brutally honest as I can, refusing to keep these thoughts fuming inside me. I’m glad it’s struck a chord with you! Lovely post. Love the authenticity with which you write and guide!! Thanks Lakshmi, glad you liked reading it! You writing skill is amazing. Keep it up! You never know how you’ve inspired me!! Anywhere I talk i say you are my inspiration.. I follow you in Instagram and trust me I follow you not for those beautiful photos you post but to sink in those beautiful write-ups. Thanks for saying that Darvish; been feeling a little lost lately, and reading this really helps! This blog is amazing. I’m surprised I haven’t found you before. Excellent content Shivya. Great work! I’m one of those people who love to read and your account wants me come back onto IG again. Better late than never! And glad you’re thinking of coming back to IG – there’s still a lot of inspiration to be found there. Such an awesome article! I can’t believe I’ve been at this almost two years and I’m just now finding your accounts <3 You and I have different angles and niches, but your stark authenticity will keep me coming back (and subscribing to your channels). Great to be connected with you Melissa; it’s such a big virtual world that it takes a while to make these connections. thank you for sharing your experience. It is very helpful and it will hep beginner..
How to deal if I find that my followers rate is decreasing?? Previous PostHow I Fit All My Life Possessions in Two Bags as I Travel the World. Next PostWhat Indian Cities Can Learn About Green Tourism from Copenhagen.